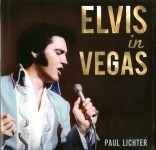 Paul Lichter has published about 20 photograph books on Elvis. A number of books have been isued as reprints. Most of the photographs are from Paul's Elvis Photo Archives, which owns the rights to 40000 Elvis photographs. Since 1970, Paul has operated an Elvis recordings and memorabilia mail order business, the Elvis Unique Record Club. 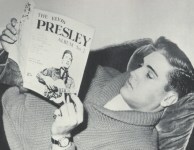 Many rare and out-of-print Elvis books are available from him.